The ultimate Frontier Logs™ building set! 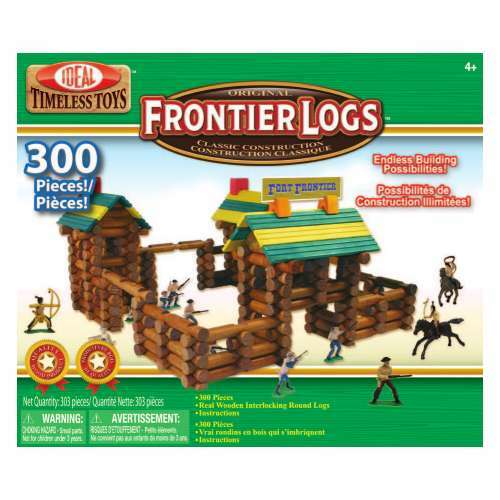 This set features the most pieces of all the Frontier Logs™ sets – 300 pieces total! 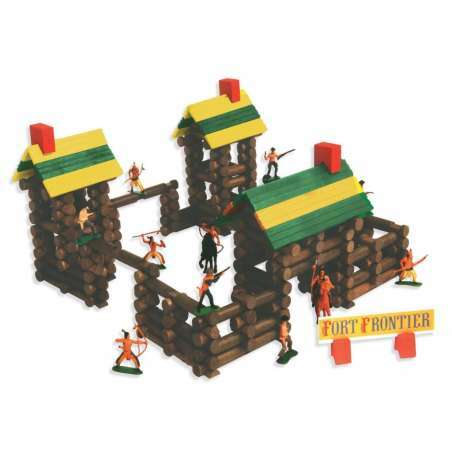 This set comes with 20 action figures and 280 logs for endless building possibilities! The classically styled hardwood, interlocking, round logs are guaranteed to stimulate and challenge the imagination of every child. 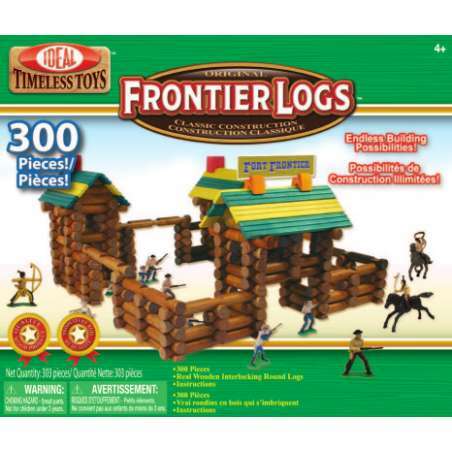 As always, these logs are stained with vegetable-based food coloring and sealed with paraffin wax, making them a safe, paint-free alternative for kids. 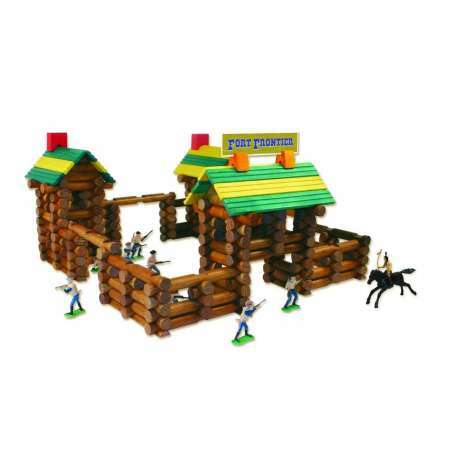 Construction toys foster basic spatial relationship, coordination, visualization, and building skills. A great gift for kids ages 4 and up!